One of the big lessons I want both of my daughters to carry with them through life is: No matter what others say to you or think about you, you can accomplish great things. I especially worry about this with C as she gets older and her differences from her peers become more apparent to her and others. So, I was really excited when I came across Cloudette by Tom Lichtenheld at our local library. 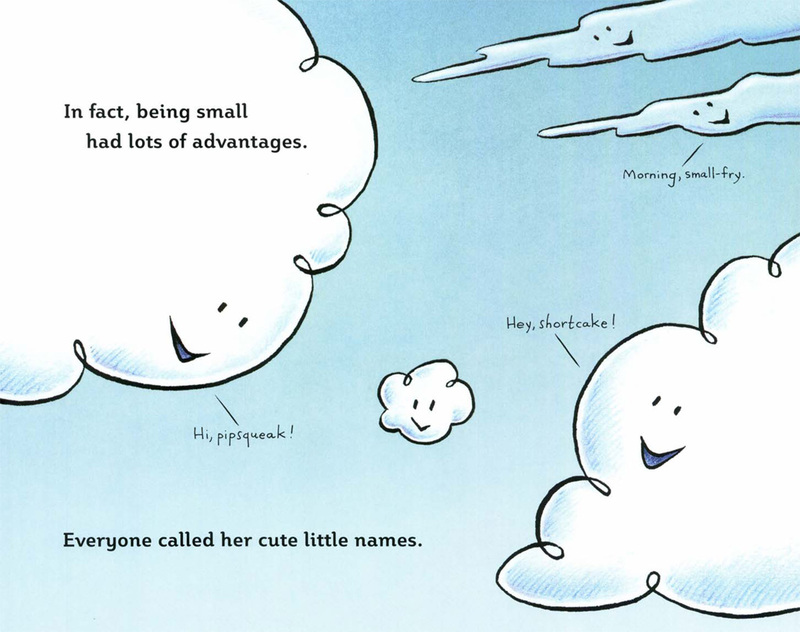 Cloudette is smaller than the other clouds around her. Although she realizes that there are some major advantages to being smaller than the other clouds, she also feels like her size difference has some serious disadvantages -- primarily that since she is small, she won't be able to do anything BIG! The book teaches children that no matter their size or their differences, they can do BIG things and make a positive impact. This week, we started out by making a yummy Jello treat from Kraft. 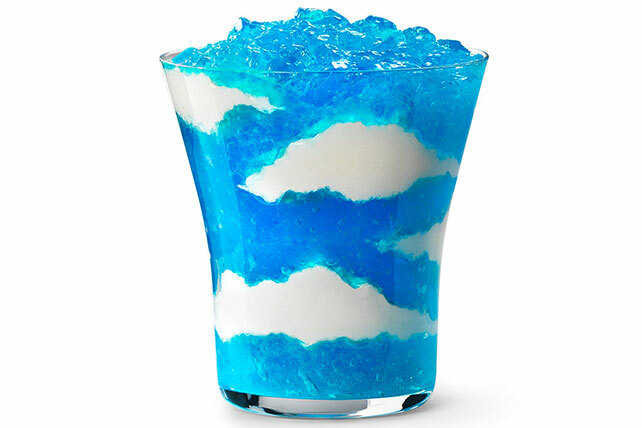 I love it because it only requires a handful of ingredients: boiling water, 2 pkgs of blue jello, Cool Whip. Seriously, super easy. The recipe can be found HERE! As we made the treat, we talked about the differences in our clouds. Some of the clouds were small and others were larger. Some of the clouds were really long and others were really short. Some were extra fluffy and others were not. After talking about the differences in our clouds and waited for our treat to be ready to eat, we read all about Cloudette. The kiddos enjoyed the story and the snack. To be honest, so did I!